Mountain literature isn’t devoid of humour, but generally speaking, comedy takes second place to heroics in mountain writing. 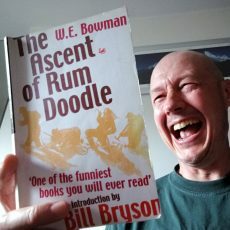 But I know there must be some laugh-out-loud funny, two or three jokes a page mountaineering books out there. If you know of any, then I’d like to hear about them. 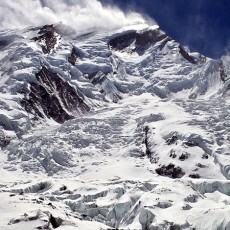 In 1950 a French team led by Maurice Herzog made the first ever ascent of an 8000m peak when they climbed 8091m Annapurna, during one of the first mountaineering expeditions to Nepal. It’s possible to view their ascent in one of two ways. 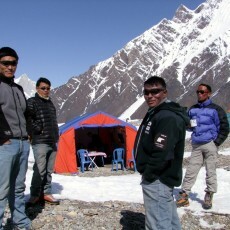 It’s time once again to pay tribute to a friend who has sadly lost his life in the mountains. 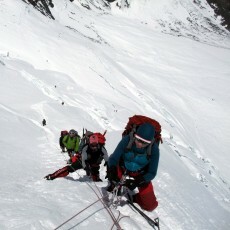 Last week Samuli Mansikka stood on the summit of Annapurna, his tenth 8000m peak, but he did not return. 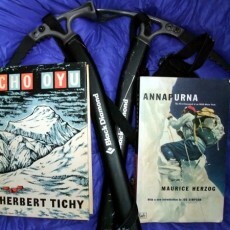 I’ve recently finished reading Cho Oyu by Herbert Tichy, an account of the first ascent of Cho Oyu in 1954. 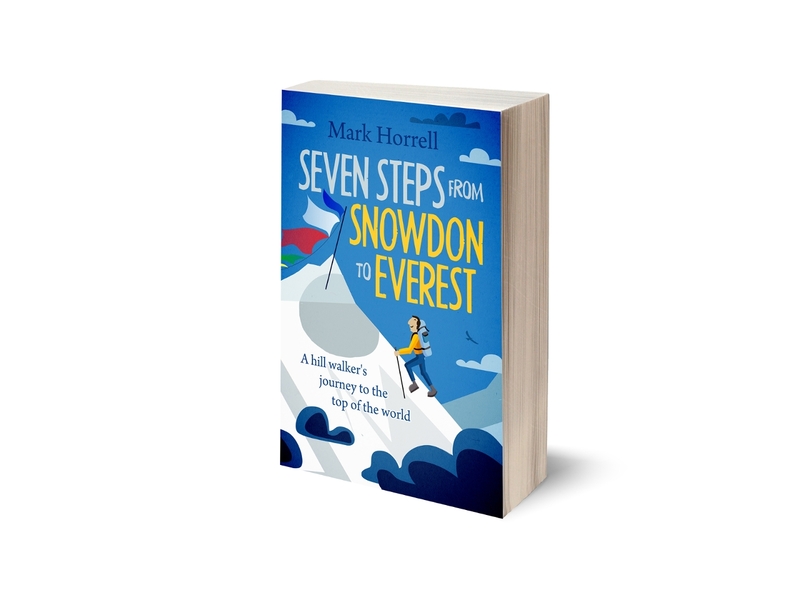 The book is hard to get hold of, but it’s as good as Maurice Herzog’s Annapurna, regarded by many as one the best mountaineering books ever written. 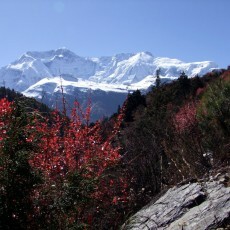 The great mountain explorer Bill Tilman made three treks in Nepal in 1949 and 1950. 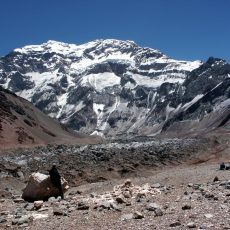 His second to the Annapurna region made him one of the first to explore an area which now sees thousands of tourists completing one of the world’s best known treks. Two mountains in Nepal are to be named after Tenzing Norgay and Edmund Hillary, according to a number of baffling media reports last week. Is this really true, and what mountains are they? Once again I will rummage through the detritus of mainstream media waffle, and try to shed some light on the story. 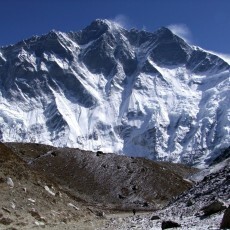 Today is the 60th anniversary of the first ascent of Everest by Edmund Hillary and Tenzing Norgay. I expect there will be quite a few editorial pieces published today reflecting on how the mountain has changed in the intervening years. I expect most of them will lament the changes as a bad thing, but I’m going to adopt a slightly different stance in this post. This is a post I have been meaning to write for a while. Much has been written by westerners about Sherpas over the last hundred years, but the voice of the Sherpas themselves is rare. I can’t provide it, but I can provide my own perspective of a people who have given me many happy memories, taken me to places I could never have been without them, and put their lives at risk to help me. Mountaineering history is full of stories of heroic ascents which have come at a cost: loss of fingers and toes (or worse) due to frostbite. We understand how to treat frostbite injuries much better now, but one method of treatment discovered by a little known Austrian mountaineer in the 1950s, seems to have been neglected by the medical profession, and it’s one that sounds quite appealing.